From this virus to another,may God save us . The Federal Ministry of Health has told Nigerians to avoid the consumption of monkeys, bush meat and dead animal as doing so could expose one to the risk of Monkey Pox disease. Currently in Bayelsa State, a medical doctor and no fewer than 10 persons have reportedly been quarantined as a result of the virus. 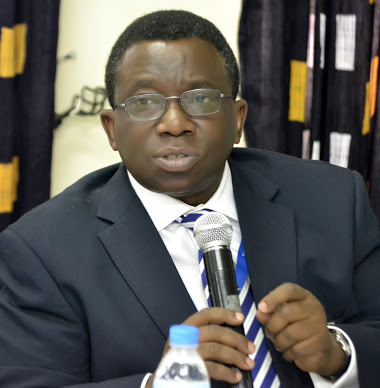 The Minister of Health, Prof. Isaac Adewole, gave the advice in a statement by the Director, Media and Public Relations in the ministry, Boade Akinola, on Thursday. According to the minister, the disease neither had a cure nor a vaccine, noting, however, that there was no cause for alarm as it was mild. The statement read in part, “He (Adewole) said the virus was mild and there was no known treatment and no preventive vaccines , hence the public should be at alert and avoid crowded places as much as possible. “He advised the public to avoid eating dead animals, bushmeat and particularly bush monkeys.”The minister also revealed that test samples had been sent to the World Health Organisation (laboratory ) in Senegal but the result was still being awaited. He, however, called on Nigerians, who had symptoms of fever, back pain and rashes resembling chicken pox, to report to the hospital. It added, “The symptoms include headache, fever, back pains and in advanced cases, rashes bigger than those caused by chicken pox.